It has been over six months since I wrote about the fourth mini-mission of Defiance in Phlan, as many design projects have kept me from finishing this series. But finish I shall! The previous four posts in the series have looked at design lessons I’ve learned since writing Defiance in Phlan, and this one will be no different. For those who have waited patiently for the finale, thank you! The fifth and final mini-mission of Defiance in Phlan is called “The Danger at Dusk.” Like the others, I went into the design with some prompting details I wanted to include. This final mission had to introduce the Order of the Gauntlet, the final faction highlighted in the D&D Adventurers League campaign. It also had to introduce the Black Fists, the guards of the city of Phlan, a contingent of which are corrupt and downright evil. Having covered chromatic dragon tie-ins in the previous four missions, this time the white dragons got the nod. Many of the previous mission in the adventure highlighted just one or two of the pillars of D&D, so I thought it important in this final mission to show how all three of the pillars can work together. This can be difficult even in a full session, so I understood that getting a good sense of all three in an hour would take some careful design. The plot of “The Danger at Dusk” is pretty clear: a gnome father asks the characters to brave a secret Black Fist prison to rescue his daughter, who has often found herself on the wrong side of the law. With only 60 minutes to work with, I could not afford to have the characters forced to learn about and locate the prison. That information needed to be provided. If I had more play time to work with, I would have made a good portion of the adventure a more social-oriented adventure where the characters needed to learn about the secret prison and find its location through whatever means they could. That in itself could have been a two-hour episode with lots of potential for roleplaying, exploration, investigation, or even combat. With limited time, the gnome father did that work for the characters. He knows the location of the secret prison and how to get inside. All the characters must do is gain access to it, find the gnome, and get out. Within that scope, again, you can do a lot with different pillars: the characters could be walking into a combat nightmare, they could solve the problem with careful exploration, or they could talk their way through. My design choices led me to a mix of all three. 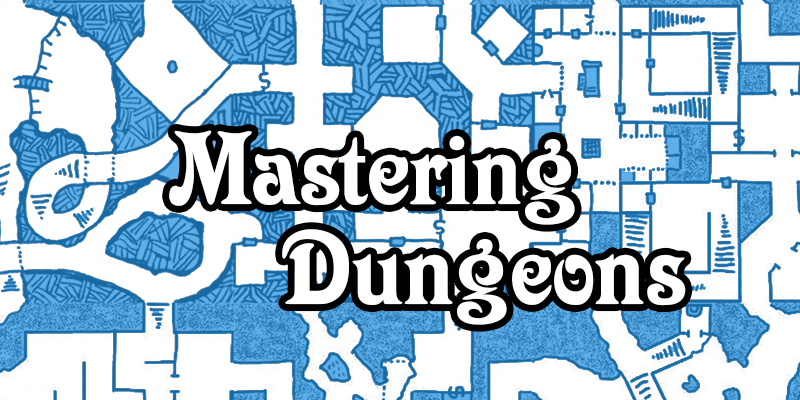 The adventure that unfolds (after the brief introduction described above) is a mini-dungeon with a few moving parts. After dealing with a locked door, the characters find a portion of an old temple of Bane converted in a prison, guard area, and interrogation chamber – with a special area called the Fun House. Getting into the area requires some exploration, but if that is done well, the characters can get in without raising any alarm. They enter the prison area itself, with five prisoners – all who have been driven mad by the “magic” of the Fun House. The guards are further away, so if the characters can calm the prisoners with good social interaction, they might be able to get in and out without the guards being any the wiser. Here I want to pause to talk about adventure design and the pillars.We often think of these pillars as large, clunky blocks that are easily identifiable. 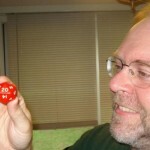 When I say “roleplaying” as a pillar of play, people often think of dramatic or funny back-and-forth banter among the players and DM, focused specifically on an issue or scene in the game. When I say “exploration” as a pillar of play, people often think of long dungeon delves with traps and hazards and secret doors and obstacles. Similarly, “combat” often brings to mind huge set-piece battles. The fact is that those monolithic imaginings are not the experience we need to think about when designing adventures. More valuable to designer and enjoyable for players are the micro-experiences that come together to form a richer experience. Each of the pillars, when used in a flexible and intricate way, deepen the game. When social interaction unlocks avenues of progression within combat, for example, the game can be more interesting. When successful exploration later effects a combat, players are being rewarded for engaging in the experience on different levels. I tried to do this melding within this adventure. By using small amounts exploration (sneaking and lockpicking) and roleplaying (calming the prisoners), the characters can totally avoid one of the combats. The same holds true for the next combat, but this time it is exploration. When the characters learn that the gnome is trapped in the Fun House, they can enter that place to rescue her. However, there is a monster in there, as well as a magical effect that makes exploring the place harder. But through dealing with the effects of the setting (exploration) rather than just fighting the monster, the characters can find a simpler solution to their problem. One regret I have about this adventure is my description of the Fun House. It is a place that contains remnants of terrible magic left from when the place was a temple of Bane. Dark columns emit energy that drives one mad with fear. I explain that so the DM understands, but I never really show that in action through a proper description. The effects of the fear show in the gnome NPC, but it would have been more powerful if I had taken the time (and the word count) to give DMs a visceral description to pass on to the players. This hits the crux of the descriptive aspects of adventure design: how much do you just tell the DM, trusting them to be able to conjure forth on their own when presenting it to players? How much do you take the time and effort to put into your words, hoping that it is sufficient for DMs to relay to the players? I have seen adventure design fail in both directions – not enough description and too much description – so it is not an easy concept to nail down. Defiance in Phlan was one of the most challenging D&D adventures I’ve ever had the pleasure to write, for all of the reasons covered in this series of articles. It taught me a lot – and as you can tell, it continues to teach me a lot each time I re-read it or run it. For people hoping to get into adventure design, I think taking on the challenge of designing a very short adventure that is both fun to play and sufficiently provides the DM with the tools to run well is a worthwhile one. If you can write evocatively and still concisely, imaginatively yet still precisely, in this short medium, then you can definitely write longer pieces. 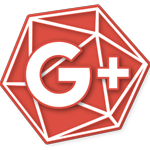 Thanks for those of you who took this journey with me as a examined my own work under the critical light of an adventure designer, DM, and player. I hope the lessons I learned and shared make your own work and your enjoyment of the hobby richer.